A closeup of the flag pole tie-off. 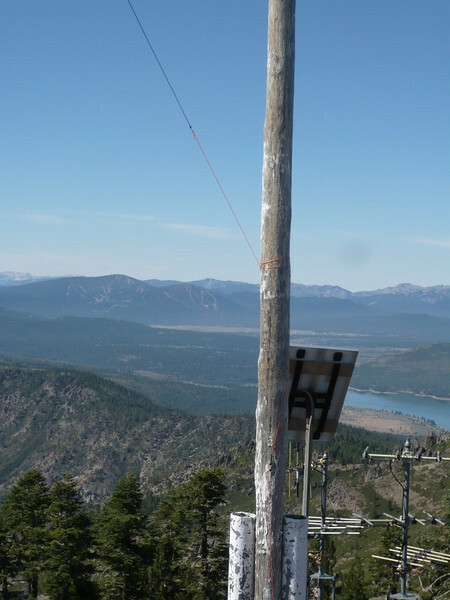 That's Boca Reservoir to the right of the pole, and the Northstar ski resort is to the left. The highest peak that you see at Northstar is Mt. Pluto (W6/NS-138). I have a season ski pass at Northstar so I'll probably save that one for a winter activation.